I hear from a lot of leadership in senior living communities who know that there's more that could be done with their resident exercise program, but they aren't sure how to get their staff to ramp things up. If you find yourself in this situation, check out the list below for common challenges and opportunities to do better for your residents. Our participation is lower than it should be. There are a few reasons that participation in your fitness program might run lower than it should. The first thing to determine is whether you have reliable data about who is participating. When we start working with a community, we often learn that they may have total (or estimated) counts for group fitness class participation and that's the end of their program data. Start by tracking participation per resident. You'll have more reliable information about who is participating, how frequently they attend, and what they participate in. You'll also gain knowledge about who isn't coming to the fitness center and/or classes. If your staff can deliver on individual services for residents, add fitness and balance testing along with exercise prescriptions to provide residents who aren't participating with the support they need to feel safe and inspired to begin an exercise program. Our group fitness class calendar needs a do-over. It's common for the group fitness class calendar to get set on autopilot without critical evaluation of what needs to be updated. Start by using the participation data to figure out which classes really deserve a spot on your calendar. 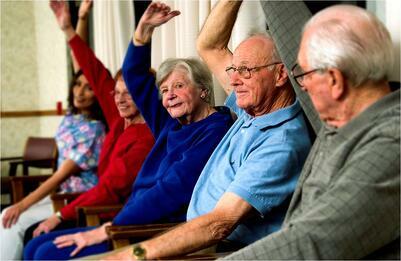 The balance classes our staff teach in our client communities are by far the most popular format. If you don't have dedicated balance training classes on the calendar, add them now. It's not enough to have balance training mixed in with a strength class or another blended format. Carefully consider class descriptions; how you word group fitness opportunities for residents can make a big difference in what resonates with a previously inactive audience. We need to be offering more fun programs. Creating fun and inspiring programs to invite more participation in the fitness center is one of the best parts of the job! It's really central to how our staff are supporting residents in the client fitness centers we manage. Consider that engaging programs should be more than just fun; they should be built strategically to meet a specific goal. For example, NIFS Fitness Freeze program was a solid solution to combat the traditional fitness center visit decline we see in December each year. Or, think more holistically about Active Aging Week and use National Senior Health and Fitness Day to offer non-traditional options for physical activity. If you're committed to keeping your fitness staff in house, then they need some support to start improving what they're offering your residents. Our eBook on how to turn your fitness center from vacant to vibrant is a great next step. I was scrolling through my Twitter feed recently and stumbled across a posting for a Life Enrichment Director with a prominent senior living provider. The title was intriguing enough—I’m always curious about what’s happening in the area of wellness and lifestyle in senior living—so I clicked on the link, taking me to the job posting. What I read on the posting was enough to make me hang my head. Without getting into detail, I’ll tell you that a primary responsibility for the position was to “create pleasant days.” Now, that requirement was in quotes on the posting, which makes me think it’s a branded program that’s a hallmark for the organization. And to be clear, the posting was for a Life Enrichment Director in a memory care community. So I can appreciate the need for programming to minimize participants’ agitation and anxiety, and to maximize the enjoyment of their days. Still, the idea of programming around building pleasant days for residents (in any level of care) struck me as wildly patronizing and profoundly off base. Folks, we are doing an enormous disservice to the adults in our communities (in any area of the community) if our primary focus is to make their days nice. The residents are living, not passing life by sitting in a rocking chair on your porch. Your Life Enrichment Director shouldn’t be facilitating passive and placating activities unless that’s what the participant wants. Most of the amazing older adults I’ve met as I’ve traveled to various communities are full of life, eager to connect, and interested in learning new things. We have got to do lifestyle programming better than building pleasant lives for them. To be fair, a lot of organizations are succeeding at implementing creative, active, and engaging programs for their members. For example, Mather Lifeway’s café concept provides for fabulous connections with peers in the midst of unique and lively programs. However, in many cases, what I see in communities is a calendar full of activities where 90 percent of what’s listed are recurring events like cards, exercise classes, arts/crafts groups, religious services, shopping trips, and coffee or happy hours. The remaining 10 percent are unique to the month and are typically grouped into musical offerings, lectures, and excursions to the theatre or opera. From a maintaining status quo standpoint, there is nothing wrong with that calendar. Just don’t confuse it with one that is built to engage more than the 20 percent of your residents who participate in existing programs. And don’t consider that calendar creative and interesting simply because there’s no white space left to pack in more activities. Evaluate what needs to change about your current mentality on programming for your members. If your job is to provide lots of opportunities to keep residents busy, it’s time to rethink the job. Residents don’t want to be kept busy; toddlers need to be kept busy. Building a successful and person-centered programming schedule is about inviting residents to engage in the lifestyle they want—the lifestyle that’s driven by their passions and interests. Ask what success looks like for any given program. (Hint: the answer is quantifiable and isn’t measured by how satisfied the residents look.) Then establish your programming goals and figure out how to measure them. Take what you learn from that evaluation and do better with the next program. 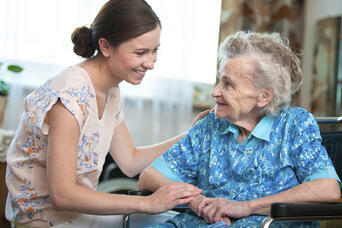 Understand what drives your residents, and keep track of that information. Ask them what they’re passionate about and what makes them get out of bed in the morning. If you don’t have programming that speaks to those interests, figure out how to support them anyway (for example, see how one community supported an interest in golf). When you have an inventory on all the members, you have a tool to inform what types of programs you should start building and which residents you need to tap to be champions for the newest offering. It’s time to stop busying yourself and your residents with filled-to-the-brim calendars that lack intention and invitation. Start actually building Life Enrichment by getting to know what motivates your members and build your creative and strategic (and dare I say “edgy”) program around your people, not their pleasant days. Ready to get started? Click below to find out how we can help you. In this blog, I want to run through a handful of questions that often come up when I have an initial call with a possible client who is interested in doing wellness better at their senior living community. But before I get too far into that information, I thought I should start by offering my definition of wellness so that we’re all on the same page for that terminology. When I say wellness, I’m talking about multidimensional, active programming that can span the continuum and that fosters maximal participation throughout the community. It is not just fitness, or activities, or dining, or chaplain-based services, and it certainly isn’t clinic-based or born from a healthcare model. Wellness incorporates a very broad range of program and event types, and it’s built to provide purpose for the participant. The other element to defining wellness that might be confusing is the distinction I make between wellness and activities. It is my opinion that building a true resident wellness program requires more than simply renaming your traditional activities program. You’ll need to consider existing personnel in your community and whether/how they can collaborate for improved offerings under a different strategy. You will also need to formulate a plan around changing how programs are developed, executed, and evaluated. So with that context established, let’s get on to the questions and answers that you can use to benchmark where you are now with resident wellness and how to do wellness better. Do you have dedicated staff who plan and execute a variety of activities for residents in the community? In many communities, it’s common to hear that there is a resident wellness program, when in reality there’s an activities program, a fitness program, chaplain services, etc., all functioning in their own silos with limited collaboration. For your wellness program to truly be robust, you need to have a leader at the helm of program/event development. There are a lot of ways to do this; sometimes it’s the activity director who assumes this role; and in other cases, this position is given to the fitness coordinator or social worker. You want to make sure you’re tapping the right person who can effectively lead a team, who has strong capacity for strategic thinking and collaboration, and who has a better-than-high-school understanding of human health. Do you have dedicated fitness personnel who manage your exercise programming? Even in 2015, the fitness “room” (if you will) still comes in all shapes and sizes. It is consistent to see some space dedicated to exercise equipment within most communities, and typically group exercise classes are held in other areas of the building. Pools are still very hit-or-miss in established senior living communities. Best-in-class services for your residents demand a dedicated fitness professional (or team, depending on the size of your community and the desired scope of services) who can manage the exercise program for your community. That individual should have at least a bachelor’s degree in a health-related field with strong expertise in prescribing exercise for seniors. He or she should also be quite skilled at teaching a variety of basic group exercise classes. And that fitness manager absolutely needs an outgoing, approachable personality to go along with the technical expertise. In most cases, we see a hodgepodge of group fitness instructors and personal trainers floating in and out of the community to support exercise activities for residents. While this approach will allow you to have some staff support in your exercise room as well as maintain your class schedule, you are failing to build a strong service that includes 1:1 attention for the residents as well as community-wide programming and data that can inform how the exercise program should evolve. What percentage of your community events/program are active (up, moving, interacting with others, learning, growing, doing) as compared to passive (sit-and-listen)? 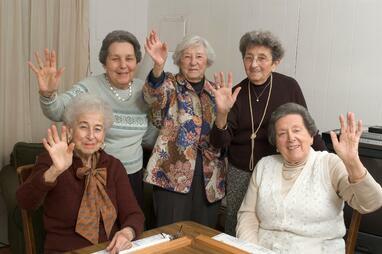 Just because the residents are retired from their careers does not mean that they are retired from life. Providing opportunities for participants to learn new things, meet new people, discuss new concepts, and see new places builds a purpose-oriented lifestyle in your community. If more than 50% of your activities calendar includes routine programs like cards and sit-and-listen offerings, it’s time to take a fresh look at how you can build more person-centered offerings on a regular basis. What percentage of your residents participate in the activities offered at your community? In most cases, activities for senior living fall into the Pareto principle, where 20% of the residents are engaging in 80% of the activities. Often, we see this phenomenon in place because your activities and events planners have slipped into an order-taker role. Their ears are tuned to the vocal minority and they fill the calendar with ideas offered by the residents who are already participating. To get out of this order-taking mode and to start moving toward programming that attracts more than the same 20% who have been participating for years, you’ll have to try something different with your team and your expectations. This is where a strategic, multidisciplinary plan steps in. How is programming developed and executed at your community? When I talked about personnel in one of the earlier questions, I mentioned the individuals working in silos so that events happen independent of each other throughout the community. A more strategic approach to programming is warranted if communities are committed to engaging more residents in lifestyle on their campuses and appearing more attractive to hesitant consumers. This type of practice requires planning activities well in advance with input from a team of experts. It requires thinking that moves away from the one-and-done offerings and toward layered, multidimensional, inviting programs that have the members talking, connecting, participating, and learning. It also requires a thoughtful approach to gathering data for the programs. Each offering should be created with an intended purpose that is measurable. Program plans should be built with that goal in mind, and tactics designed to help achieve that goal should be identified. When the program is complete, the team should evaluate whether and how they achieved their goal, as well as identify what they learned in the process that can be used for more effective programming in the future. Not sure how to start evaluating your resident wellness program? Contact us below. 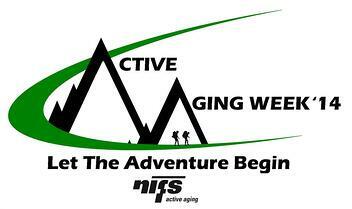 Is Your Senior Fitness Program Challenging Enough? At this point most retirement communities have recognized that senior fitness programs are as important as having a great social program or food and beverage program. The impact these programs have on marketing is tremendous, and so it is no wonder that everyone is looking to have the most popular programs with the newest class titles. Now that exercise is a key focal point and the residents are in the community, take a look at your programs and see if they are doing the residents justice. 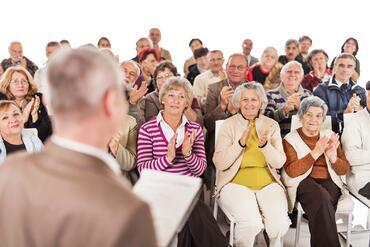 Does Your Program Help Residents Reach Their Full Potential? In the most recent ICAA Research Review, there is an article shining light on sarcopenia. Sarcopenia is the loss of muscle strength and mass due mainly to age. Simply put, as we get older we naturally become weaker. While reading this article I began to question how many programs in retirement communities truly push their residents to accomplish their full potential. 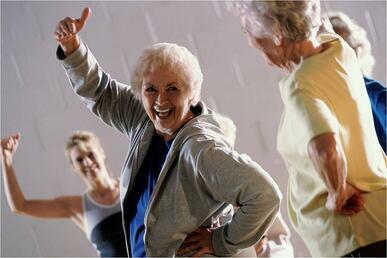 Does your program challenge your residents to get down on the floor and back up again a few times during a class? No? Why not? Many of my residents are insulted when others expect that they can no longer get on the floor. I also have many who say they cannot get on the floor because then they won’t be able to get up. 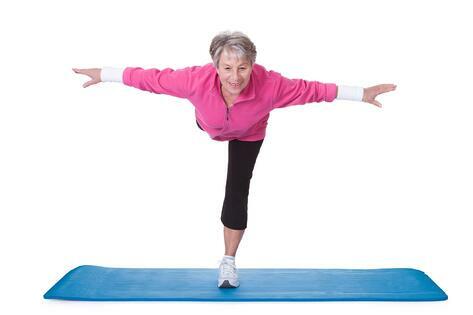 Over time our community’s fitness instructors and I have been able to prove to the residents that they can still get up from down on the floor and that it does get easier with practice. More importantly, being able to get up off the floor is vital to practice. According to the CDC, one out of three seniors will fall, and less than half of them will go to the doctor in regard to their falls. Now stop and think about all of those people that can’t get on the floor because they “won’t be able to get back up.” Statistics show there is a very high likelihood that they will land on the ground, and that is a terrible time to learn they truly can’t get up. We, as individuals, have always had someone to help guide us, challenge us, and push us to achieve more, work harder, and be true to ourselves. When do we decide we no longer push someone? At what age do we decide that an individual should turn on the cruise control and just be? As a person of wellness, I don’t believe there is ever a time to show someone it is okay to become complacent. These individuals need to see that they are still capable of doing a great deal more. We need to be willing to work with our seniors both in classes and individually to help safely get them stronger—or at least maintain the strength they have—in order to help them not only live a longer life, but live a longer and more independent life. 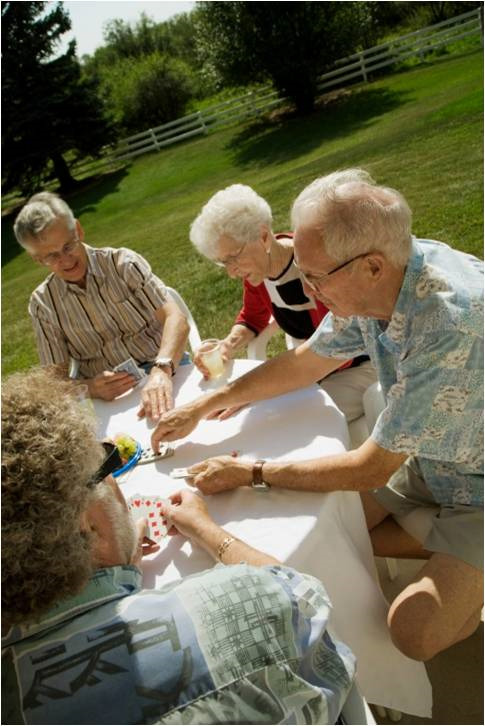 How do you challenge your senior living residents? When is the last time you asked them if they were being challenged enough? I bet you would be surprised at how many are asking for something a little more. I know I was. For more on why fitness is so important for seniors, see this post. There’s a lot of talk about what some in senior living call “someday syndrome.” It’s the phenomenon by which adults who have a lot to gain by moving to a retirement community for one reason or another put off the move, indicating they’ll make that change someday. There are industry articles, LinkedIn discussion groups, and product/service provider blogs about this phenomenon. I’ve heard it in my own parents’ discussion about moving out of their house and into a community. They’re ready…sort of. Well, not really quite yet, but they’re taking steps to be ready. I think they’re like so many of their generation. They have very good reasons to put off leaving their house. What they’re missing are compelling reasons to make that difficult change and move into a senior living community. In 2008 and for a few years afterward, there was a delay by older consumers largely because of the housing crisis connected with the great recession. But more recently, as the housing market has slowly made a turn for the better, someday syndrome remains. My parents and many of their contemporaries are waiting because they simply don’t see themselves, their lives, anywhere but in their current home. In one of Steve Moran’s blogs, “Is Good good enough?,” he talks about recent trips to two better-than-average communities. And although he records being politely and promptly greeted as well as appropriately “sold” during his visit, he felt no connection to either location. He was given good marketing collateral and told quite a bit about both communities, but there was nothing in that messaging to provide unique, compelling, relatable, or personal connections. In short, if he were a prospect, he had no heartstring tug, no strong pull to move to either community. In the end, Steve comes around to the idea of telling stories as a way to distinguish your community from those around you, and I think he’s right. The stories about residents, their family members, their lives at your community, and how the staff facilitate the very best for them are the essence of who you are. The good news here is that you already have stories; if you’ve been in business a while, you quite possibly have tons of them. But the hard work lies ahead in figuring out how to use them to communicate your culture, your way of life, as a tool for inviting prospects to join your community family. One of the places you should be looking for stories is within your wellness program. If we look at broad brushstrokes of what a life plan can offer to prospects, there are two big categories: safety/security and lifestyle. Both categories are clear distinguishers in terms of providing more/better than what a prospect is able to achieve in her own home. The continuum of care with qualified and passionate clinicians, along with related services (therapy, podiatry, etc) all within the four walls of your community is simply not achievable for an individual who remains at home. And if your organization is on the cutting edge of opportunities for education, service, growth, and camaraderie in your wellness programming, you no doubt have robust programming that no one individual could so easily experience living in her home. 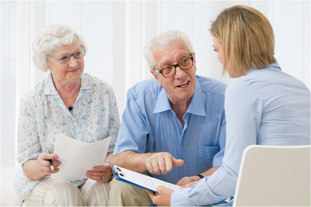 If you are a healthy individual in your 70s or 80s and you’re considering moving out of your home into a retirement community, which of those two messages is likely to pull you through someday syndrome and toward relocating in a community setting: how you’ll be cared for when you’re sick or dying, or how you can experience new opportunities and enrich your wellbeing as you live at the community? Let me offer a word of caution here. The idea of using lifestyle to combat “someday syndrome” only works when your lifestyle programming is truly compelling, diverse, individually oriented, and life affirming. If you calendar is full of various card games, bingo, the occasional trip, the occasional lecture, the same old group fitness classes, and the monthly podiatrist visit, there’s no lifestyle to sell and you won’t be different from the competition. Make no mistake: just because the calendar is full does not mean the events are expanding the horizons of your residents. Selling lifestyle is easy when you have the right programming and people in place that can elevate resident stories of successful living. Selling lifestyle is easy when your programming has data to back up participation and engagement rates. Selling lifestyle is easy when your marketing and sales staff understand the language they need to use and have specific stories to make a connection with a prospect. If you’ve been nodding your head and you believe it’s time to elevate your community lifestyle both to serve your residents better and to create a true market differentiation for what you’re selling, check out this blog.